Woollyhugs > Latest.. > Auction > Spring Auction 2018 > Item 233) Stunningly beautiful. Newborn baby jumper knitted in Cherish baby DK King Cole acrylic. 233) Stunningly beautiful. 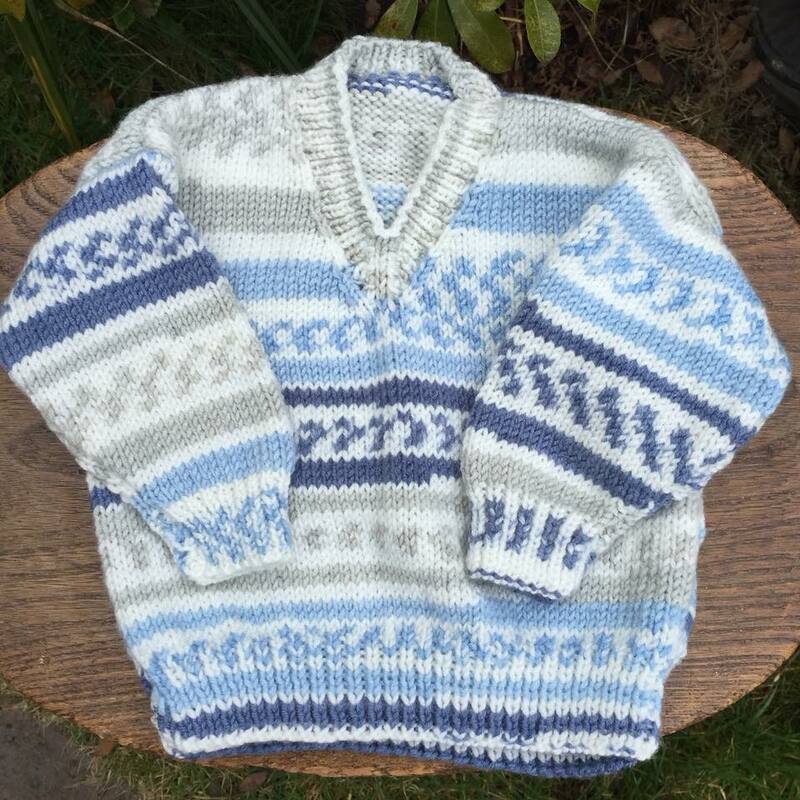 This baby jumper is knitted in Cherish baby DK King Cole acrylic. Machine washable at 40. Easy care. Size wise, measures 50cm around chest. Item 233) Newborn baby jumper knitted in Cherish baby DK King Cole acrylic. item name : Item 233) Newborn baby jumper knitted in Cherish baby DK King Cole acrylic.